is now available on PC, Mac and Linux! 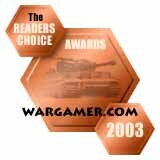 Donohoe Digital has created a PC/Mac/Linux version of the award-winning board game War! Age of Imperialism. For more information, including screenshots and reviews, click on the Details link. For answers to frequently asked questions about the War! Age of Imperialism computer game and board game, click on the FAQ link.